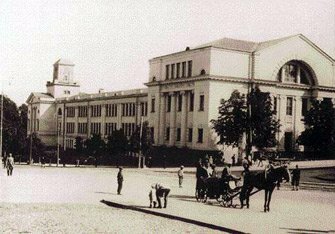 Since almost a century, a monumental building of the Great Conference Hall of the National Academy of Sciences of Ukraine adorns the architectural ensemble of the Theater Square. It was erected by prominent architect Pavlo Alyoshyn on the corner of Volodymyrska and Bohdana Khmelnytskoho streets. The building’s beauty proximity of Kiev’s ancient landmarks, transport convenience, city parks nearly – all this attracts locals and guests of the capital alike. 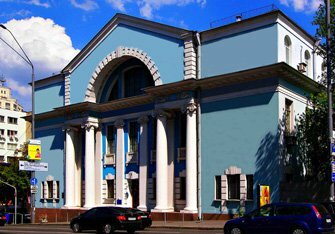 Commencing 1927, the Great Conference Hall of the National Academy of Sciences of Ukraine has gained wide popularity in Ukraine and beyond as a professional congress venue, attracting and catering conferences of highest caliber and diverse industries. These are predominantly scientific conferences, economic forums and presentations, trainings and seminars of multi-national companies.